Amour features three of Europe’s most exceptional performers: Mario Frangoulis, Deborah Myers and George Perris. Together, they will take the stage with the Orlando Philharmonic Orchestra to benefit the Association’s need-based scholarships and support services. The concert is part of an ongoing series of Horatio Alger State of the Association gatherings that are being hosted around the country. 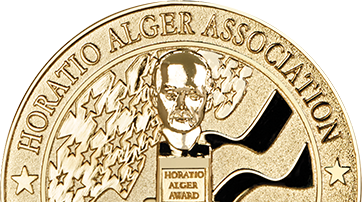 In addition to raising awareness about the Association’s mission and educational programs, these gatherings are intended to celebrate the Horatio Alger Association’s 70th anniversary. We are deeply grateful to Central Florida Members Harvey Massey, Clarence Otis and James Seneff for hosting this concert in support of the Horatio Alger Association. Note: Due to limited capacity, tickets for this event are on a first come, first served basis. Thank you for your registration! Details about the pre-concert event and ticket distribution will be provided at a later date via e-mail. We look forward to seeing you at the Dr. Phillips Center for the Performing Arts on Saturday, October 15th at 8:00 p.m. Follow the Association on Twitter, Facebook, and Instagram.